Emergency officials inspect a vehicle that rolled into a ditch near Burleson Street in Kyle Thursday. Photo by Kyle Taylor. The Kyle Police Department is currently investigating the cause of the accident. 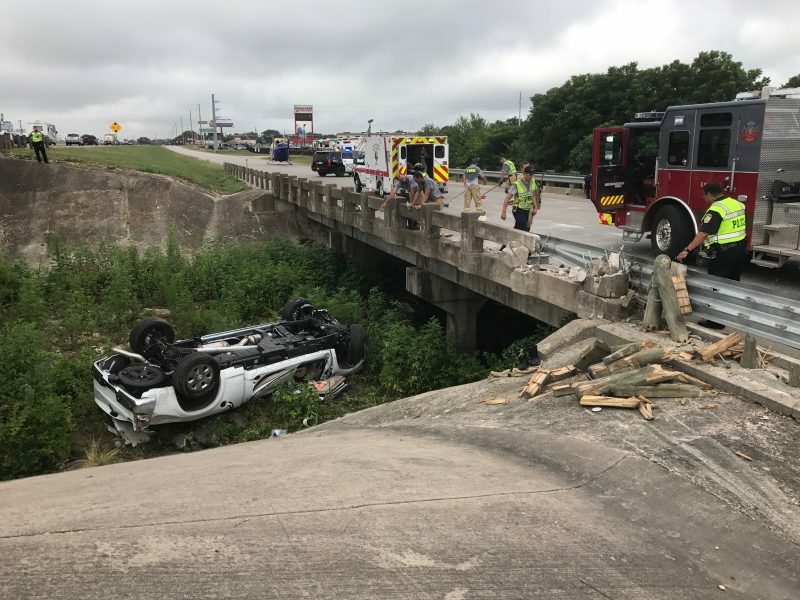 According to the Kyle Fire Department, commuters should expect delays on southbound I-35 and the frontage road near Burleson Street over the next couple of hours.